It is a mandatory requirement of the law system that courts maintain a record of all the files, transcripts, exhibits and verbal content shared in a case. This record is maintained in all the superior and local courts of all the counties in all American states. Quite recently, the records have been made available to the public, in person as well as through electronic sources. Use the above form to begin your Queens County Court Records Online. 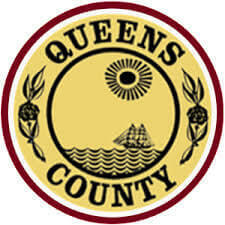 Queens County court records are provided by the Queens County Clerk’s Office. In order to get a certified copy of a Supreme Court Paper and Exemplification, you will have to conduct searches, either in person or through a link provided by the Search Court Records Department. The case indexes from 1992 till date are made available through the link but the ones prior to the mentioned year can be accessed through a written search which is conducted by the staff or a visit in person to the concerned department. Records on divorce decrees are also available at the Search Records Department of the Clerk’s office. However, it is allowed access to be designated attorney or one of the concerned parties only. Anyone having a signed notarized letter or an affidavit can also have a copy of the divorce document. The Queens County Clerk’s office also maintains records on money judgment/satisfaction of money judgments which can also be provided to the public upon specification of the type of money judgment/satisfaction of money judgment, whether it is for NYC tax and parking violations or a particular type of court judgment (civil, family, criminal, etc.). The records on property liens are also maintained by the Queens County Clerk’s Block and Lot. All kinds of building loan agreements, foreclosures or sidewalk violations are accessible through Queens City Register Block and Lot Number Search by calling the Queens County Clerk’s Block and Lot Office at (718) 298 0612. You can mail your written requests at Queens County Clerk’s Office, 88-11 Sutphin Blvd., Room 106, Jamaica, N.Y, 11435. How do I find out if there is any open record in the Queens County Court for someone who got arrested while visiting NYC but is residing in a difference state ? It sounds like the court record you’re looking for would be in Queens County since that is where the person was arrested. If you can provide me with a first and last name and age I can lookup the Queens county court record you’re looking for. Another option is to contact the Queens county court clerk to find this information. I have included a link to the Queens county court clerk below for you. In New York you can have your court record sealed in some cases but the nature of public records is that they’re public domain meaning that most anyone can access them. There are exceptions to this rule: if you’re a minor, if you’re active military and it’s your active service record, or special circumstances from the court. New York does not have any laws that remove or expunge court or criminal records. You can have your court or criminal record sealed in certain circumstances. When a court record is sealed in New York the record is still there but all the finger printing and mug shots and DNA samples are destroyed. Your best option to get a certified copy of your Queens county divorce record is to contact the relevant county courthouse where your divorce was processed. Contact the Queens county courthouse clerk and request a copy of your divorce decree. Hi there, Is there a way to look up UCC liens in Queens County? Please let me know. Thanks. Unfortunately we are not an FCRA certified resource so we don’t have access to UCC Financial information. You might consider running a credit report on a person if you want to know the details of a Queens County lien record. You can also contact the Queens county courthouse clerk for information that might pertain to a property lien on a Queens County, NY resident.